20th September 2010Silk Magic & Coin Magic. We’ve decided to combine two themes tonight as one theme may be too short. So we invite you to perform two routines, one for silk magic and one for coin magic. 11 October 2010Michael Ammar Lecture – Forth Valley Magic Circle are proud to announce a Lecture & Workshop by Michael Ammar. Mon 18 OctoberSpooky Magic – Magic with a ghoulish theme. 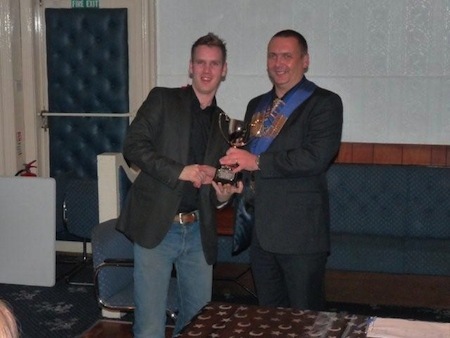 15 November 2010Club Competition – For the coveted FVMC McDonald Cup, Won last year by Colin MacKenzie. 6 December 2010Christmas Magic – Magic with a Christmas theme. 20 December 2010Christmas Meal – Restaurant to be confirmed. 17 January 2011West Lothian Goes Forth – Our friends from West Lothian Magic Circle are coming to visit and we will perform between ourselves. Fri 18 – 20 February 20111st ever FISM European Championships of Magic in 2011, Blackpool. The Convention will be extended slightly with the competitions starting on the Friday morning of the Convention, giving an extra half day of championship magic. Hosted by The Blackpool Magicians Club. 28 February 2011Blackpool Magic – (A change to our normal club night). Show us what cool stuff you got from Blackpool. 21March 2011Lecture or Mental March – See if we can get a lecture for tonight or 18 April. Lecturers to be contacted are; Marc Oberon, R. Paul Wilson, David Stone, Matthew J. Dowden, & Gary Jones. If we can’t get a Lecture the theme is to be Mental Magic. 18 April 2011Bar bets, cons and scams. Think you have what it takes to get one over on the other members…? Bring your wits here or you will be left high and dry! 16 May 2011Tryst Talk – Let’s talk about the tryst. Highs and Lows and just chill.